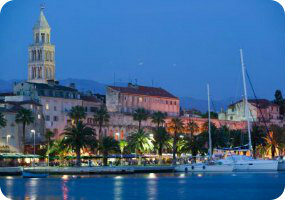 Book now the best shore excursions for private groups in Croatia and Montenegro at low cost price. Book our Group Excursions Croatia and Montenegro, the best tours for groups and individuals, customizable to the needs and interests of each customer. The service is offered at a cost for the group, so the cost of the individual will decrease according to the number of participants. The formula Group Excursions Croatia and Montenegro be released from the conditions laid down in the standard service, therefore, is not subject to the achievement of a minimum number of participants (the service is available only for two people). We will discover the monuments, cafes and curious shops facing the pedestrian street Placa Stradun, Dubrovnik’s main street where the old town comes alive and where our hike starts between the various churches and monasteries and even museums that populate the center, all with walls decorated with finely carved stone, the valuable work of the artistic tradition of local artisans. In addition, towards the sea, we find an amazingly beautiful landscape of beaches and a sea dotted with islands. In addition to Placa Stradun, and the wall that surrounds the city, in the excursion we will visit the Dominican Monastery, the Assumption Cathedral, Piazza della Loggia, the Church of San Francesco, the Rector’s Palace and other monuments and palaces scattered through the center of the city. During our excursion to visit Split with Diocletian’s Palace, built by the emperor Diocletian built in order to make it his home, he came over the centuries turned into a defensive construction;. Its walls coincide with the historic center of the city, the original core of the ancient Spalatum. The palace, a sort of large fortified villa, is presented both as a dwelling place for the sacred figure of the emperor and a stronghold against attacks: its structure is reminiscent of the typical plants of the military camps, four mighty gates flanked by many towers made octagonal the corners of the structure. Among these ports the most important was the Golden Gate, which we will visit during the trip. We also visit the Cathedral of Split (dedicated to St. Duje), the Temple of Jupiter and the Ethnography Museum, before returning to the port for rimbarco. During our tour we will visit shining examples of the past, also Venetian, Kotor (so much so that the city still maintains the Boka Italian diction) like the Catholic Cathedral of St. Trifon, the Orthodox Church of San Lucas, the Church of Santa Maria, the Palace Grugur (building of the eighteenth century, now home to the Maritime Museum) and Plaza de Armas.